Organic whole grain rye and spelt bread with a 28 hour fermentation. And a few Klamath olives for good measure. Savory, nutty, and nutritious! Hello Fellow Bakers! And Happy (almost) New Year!! It is this time of year that I try to take deeper breaths amidst the often chaos, and I become more aware of the importance of this. 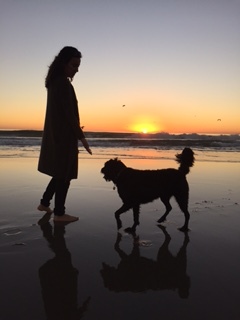 What it does accomplish — is it turns my gratitude practice inward and more solid, as the clarity of what is most important in life becomes beautifully more prominent. That is — more family, more love, more nature, more pausing. And unmistakenly now, more writing is part of this. Yes. And thus, here I am again. Twice in one month. Somebody give me a cookie. autolyse: the time after your initial mix of flour and water, before you mix in the wild yeast (starter) and salt. It is between 30 and 60 minutes usually, and is essential for the initial enzymatic activity of the grains. ‘air’ kneading: a phrase that Andrew Whitley (an amazing British baker who wrote Bread Matters) uses to explain the belief that sourdough bread does not need to be kneaded. Ooo, a pun! And Chad Robertson also exemplifies in his book //ws-na.amazon-adsystem.com/widgets/q?ServiceVersion=20070822&OneJS=1&Operation=GetAdHtml&MarketPlace=US&source=ac&ref=tf_til&ad_type=product_link&tracking_id=breadculture-20&marketplace=amazon&region=US&placement=0811870413&asins=0811870413&linkId=A37J2IZDYLLQPJRS&show_border=true&link_opens_in_new_window=true” target=”_blank”>Tartine Bread that dough can simply be given ‘folds’ every 30 minutes or so during the initial rise. retard: aka ‘bulk fermentation’: this step occurs in your refrigerator. After your initial rise and shaping (after 3-4 hours), you place the dough in the fridge for a minimum of 8 hours to a max of 28. I have found that my sweet spot tends to be around 16-24 hours, but everyone’s fridge will have a slightly different temp, so find what is best for you. It is during this stage that the wild yeast interacts slowly with the enzymatic activity of the whole grain flour, water, and salt. In my opinion, this is where the bread develops the ability to be considered probiotic and more easily digested, so please don’t shorter this process. 24 hours is ideal — 8 is the minimum and over 28, your bread may be overproofed or spoiled. proofing: the ‘final rise’ of your dough after it has spent time ‘retarding’ or ‘fermenting’ in the fridge. This is the hour or two when the dough sits on the counter, rising, getting closer to room temp, before it is placed in a Dutch oven or on a pizza stone for baking. over-proofing: oh, if I had a nickel for every time I overproofed a loaf when I first started baking, well…Let’s just say it happens to the best of us especially when we are just beginning to learn how to bake bread. 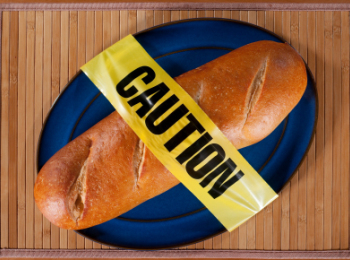 There is a particular test that many bakers use to determine if their bread is over- or under-proofed. Poke the dough after it’s finished its bulk fermentation or retarding in the fridge. If the dough leaps back at your finger, it is likely underproofed (meaning it didn’t have enough counter time during the initial rise. Poke the dough: if it stays indented and doesn’t bounce back, it is likely overproofed. Meaning — you let it go too long on the counter initially or in the fridge. You can still try to bake it, but it probably won’t have any oven spring. Poke the dough: perfectly proofed: you poke the dough and it slowly and steadily rises back to meet your finger. Well done, baker! I sincerely hope that these vocab terms and tips were helpful. Thank you for reading my blog this past year. If you have any questions or comments, please feel free to comment below. You know I always love hearing from you! I am greatly looking forward to seeing what Bread Culture has in store for 2016! This is me outside of the famous Amy’s Bread in NYC. She is a great inspiration to me and I am thrilled I was finally able to try her bread! Many students have been asking some great questions about wild yeast lately, so I thought it would be helpful if I clarified some things for you all. I wrote a post called Wild, Wild Yeast about two years ago which you can read here, but since that time I have become better acquainted with my pet starter. Thus, I will happily share my knowledge on the little beast. When you get home after class, tear off a quarter-size portion from the dough and place it in a quart-sized mason jar (preferred) or BPA-free plastic container. To the jar add one cup organic flour and one cup filtered water. Stir. Place lid gently on top and place in a cupboard, out of sunlight. For two more days, feed it once every 8-12 hours: Dump out 50% of the starter, add one cup flour, one cup water. Stir. It shouldn’t be too liquidy. Think pancake batter with lots of bubbles and an aroma of wine. That’s a healthy starter. Once you have fed it 3 or 4 times over the course of the first 2 days, it should be happy and bubbling. At this point, you can try your hands at baking a loaf of bread with it, or if time doesn’t allow it, you can place it in the fridge. Make sure you feed it once/week if you store it in the fridge. Some say it can go months without feeding, and that may be true, but in my experience, it is best not to abandon it and just feed it once/week. That way it will also remind you to bake those loaves of bread for your friends and family. If I store it in the fridge, when do I need to take it out of the fridge in order to bake? Usually a minimum of 12 hours, but ideally one or two days before you bake is best. That way, you will get the chance to feed it between 2 and 4 times before baking. You want to see the starter bubbling and smelling yummy. That’s when you know it is ready to be mixed into dough. Is that liquid on top hootch? Should I throw it away? That is ethenol (alcohol), and some people like to stir it in before they discard their 50%, bc it adds to the sour taste of the starter. Personally I usually pour it down the drain, and then discard 50%, and feed it. Why do I have to discard 50% every time? What can I do with the stuff I discard? Yeast is a living bacteria. A probiotic one at that. Many of these bacteria experience die-off after hours of not being fed, so essentially you are discarding half of it to revive it with fresh food. I know it can seem frustrating to some who do not wish to waste, so luckily I recommend using the stuff you pour off in pancake mix (Chad Robertson has a great recipe in his Tartine 3 book), or instead of baking soda/powder in muffins or cookies (substitute 1 tablespoon starter for 1 teaspoon baking soda/powder). There are still many trillions of healthy probiotic bacteria in that discard, so why not create some new tasty creations with it. My starter has been fed nearly 5 times over the course of 2 or 3 days and it still doesn’t want to bubble…what do I do? Fear not! Add 1/4 teaspoon apple cider vinegar or pineapple juice or freshly squeezed OJ to it and stir. The acid will wake it up. Feed it a few more times after this and if it still doesn’t bubble, you may need to start over. How much starter should I have in my jar at any given point? I always like to keep a minimum of one or two cups in there, in case I want to mix dough on a whim. After you use a bunch of it, always re-feed it one or two cups flour, one or two cups water before putting back in the cupboard or the fridge. Why can’t I use commercial yeast? Commercial yeast is made of only one bacteria: Saccharomyces cerevisiae. That’s all well and good, but it doesn’t have lactobacillus or any other bacteria that is healthful for our gut health. It is also chemically processed, and by making it into a powder, it loses the peak of its nutrition over time. To me, the yeast is the most important nutritional aspect of the bread. It is what makes it rise, it is what has healed my digestion, and the digestion of many of my patients who eat my bread each week. I can’t emphasize it’s importance enough. There you have it, friends. 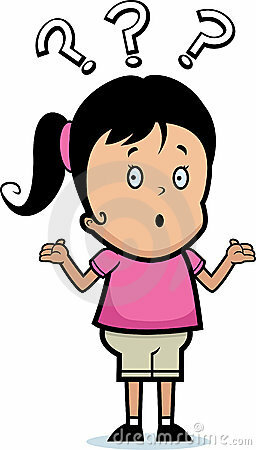 If there is something I did not answer here, feel free to write and ask me questions. 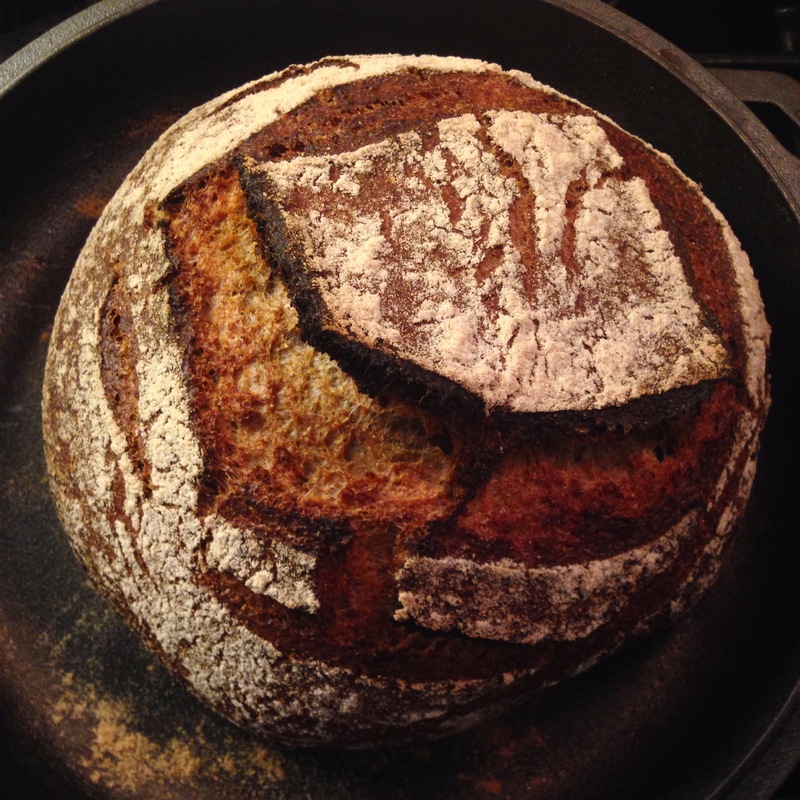 And stay tuned for a webinar with more details and bread baking galore in 2016. Thanks for reading. Happy Holidays to you and your families and friends! Hello my fellow bakers. The last few months of been a whirlwind for me. 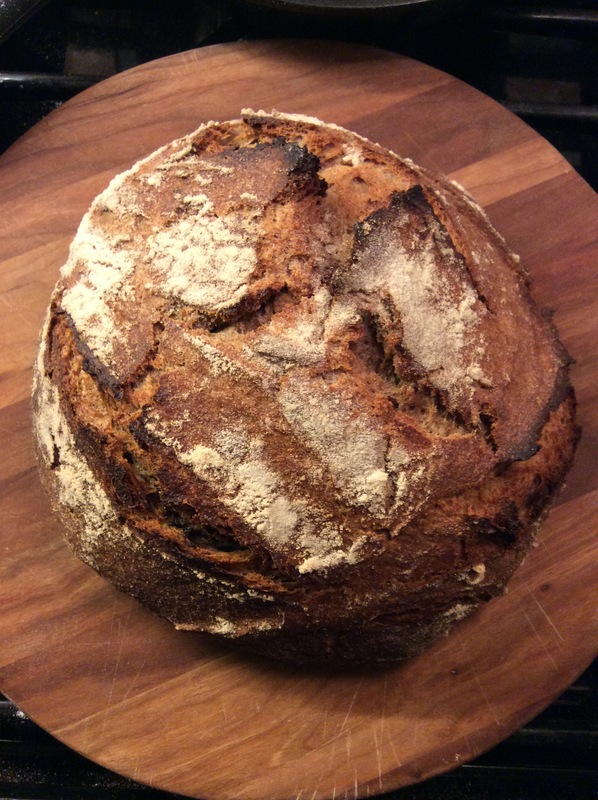 By Midsummer I was teaching several bread classes each month, building a busy acupuncture and Chinese medicine practice, baking 20 loaves of bread per week in my home kitchen. And loving it. Then one day I thought to myself “why not try a farmers market?” So I called our local farmers market, the one that Kevin and I go to nearly every Sunday. I did not anticipate how quickly it would all happen. They were intrigued that I had my cottage food license, that I baked from my home kitchen, and after I handed them some samples, the next day they called me to ask when I wanted to start. I just kept saying yes to everything. Yes to more mixing. Yes to more baking. Yes to more phone calls requesting more and more bread. Yes to more lifting dozens of cast iron pans in and out of oven. Yes to 50 plus loaves per week. By myself. Yes too more patients wanting Acupuncture. Yes to bread deliveries. Yes to EVERYTHING. People kept asking me “how are you doing this Mary? Aren’t you just exhausted all the time?” And it wasn’t until several months in that I started really wondering if I was paying enough attention to my own needs and the needs of my family. My bread mission is so strong and is filled with a lot of love and grace, and it strives for goodness 100% of the time. Despite all of this, my body started to tell me that I was out of balance. I started feeling palpitations, fluttering, weird heart stuff. And I was incredibly exhausted. As a physician, I was fully capable of knowing that if I were my own patient, I would have told myself to slow down three months before. But I just kept pushing through it. After all, was not the love of baking enough? Wouldn’t I find the energy? People were wanting to know, to buy whole grain bread, and to learn how to bake it…why shouldn’t I be the one to teach them? To inspire and empower them? Fast forward a few weeks later: I ended up in the hospital. For several days. They did diagnose me with a heart condition, and are testing me for several different possible causes. And although it was terrifying when it happened and I am still trying to piece everything together and wonder how this might change my life. I feel OK about it. I am conscious of acknowledging the fact that everything happens for a reason. Maybe it’s time to slow down a bit, to consider hiring someone and getting some help. 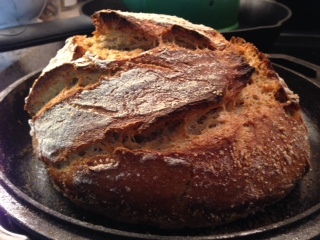 To teach and not to bake 50 loaves in 12 hours (yes, I was doing that!). On my really good days, I know the pause is not an end. It’s just to take a breather. The whole reason why I am telling you this, is that I hope my story may influence some of you out there who are pushing the physical limits of your energy. Life is too short, my friends. We need to take of ourselves. I practice a medicine that is based on ancient principles of Yin and Yang, and the striving for balance in all aspects of life. I teach my patients this, I meditate on this daily. I was not practicing what I preach. I know this now. When I was in school, we studied many ancient Chinese medical texts. One certainly had the greatest spiritual influence on me, and although I have lost track of it through the years, it has come back full circle once again as things do and is helping me heal. It’s the Tao Te Ching, written by Lao Tzu, a Chinese prophet. 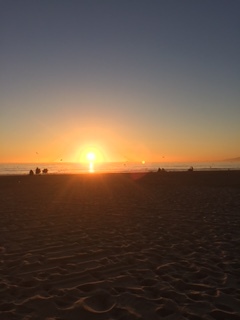 One short phrase continues to inspire me now each day: “Retire when the work is done. This is the way of heaven.” Simple to some, but not for this non-stopper. Although it will be challenging, I think I may heed his advice for awhile and see how the future unfolds. Rest. Work a little. Rest again. Maybe these pauses will give me the opportunity to write more. That is something I have missed. Maybe a commercial kitchen space with an actual proper bread oven will present itself to me, equipped with one or two incredibly assistants. Maybe I will just teach people how to bake bread for awhile and focus on helping my patients heal. Maybe all of this. Maybe none of it. Ever still, the importance of the pause is a very real, essential practice. And I am being reminded of this now more than ever before. I hope some of you read this and understand, and maybe allow yourself a breather too. After all, it is essential for health, balance, and vitality. Just like I always say, real bread takes time. Well, so do we! So does healing. We have been taught to think that if we get a cold, we go to the doctor, and get medicine that will just make us better immediately. When in reality, the true complete healing can sometimes take longer than we ever anticipated. This is so hard for many of us. Including me. But it is also that much more profound when we are able to look back and see that the work we have done to heal ourselves, that the time we spent gracefully caring for ourselves, well, it was ALL worth it. So, go ahead: give yourself permission to do absolutely nothing. In that stillness is where you will find the answer. Hello fellow bakers and curious folk! Lately I found that when I am teaching new friends how to bake bread, many people are asking great questions about varying grains. They want to know what makes the best bread; or what variety of wheat is lightest in texture, while still remaining true to it’s whole grain nature. Another discussion that continues to peak people’s interest is what kind of whole grain makes the best bread, and what is the nutritional breakdown of each? During the class I explain the differences, but I thought I would share my knowledge with the rest of my fellow bakers out there. Or at least, give you the low-down of what I’ve discovered through my research and thousands of test-bakes. Even though Rye can be incredibly sticky to mix, it is by far one of the most nutritious grains out there. It is highest in insoluble fiber, which means that it can assist a healthier and more regular digestion. Insoluble fiber helps regulate digestion, and it also helps the body maintain its normal Ph level (acidity to alkaline ratio). It is said that rye also contains some trace amounts of soluble fiber as well; making it extra keen at regulating blood sugar in our body. This is why it is often safe for those who are pre-diabetic and diabetic to eat rye. The bulk fiber does not spike the blood sugar, which is also an added bonus for those of us who are afraid of eating bread bc of possible weight gain. Rye bread can actually help one lose weight, since its natural fiber makes one feel full after just a slice or two. Rye also contains half the amount of gluten that wheat does. Even when commercially milled, the rye grain still stays more nutritious than wheat flour, because unlike wheat’s endosperm (bulk of the grain kernel), rye’s endosperm is full of fiber, and minimal starch. So so try it out for yourself. Don’t be intimidated by its stickiness at first like I was. Trust me, it’s worth it. Contrary to popular belief, Spelt is indeed a wheat variety. It originated in Iran, as a cross-breed to emmer (another grass-like grain). It is higher in protein, but not gluten protein. More specifically, it does not contain gliadin protein. This is the more specific type of gluten protein that many people supposedly have a hard time digesting. But you know how I really feel about gluten. If you’re new to the site, I invite you to read my thoughts on the matter HERE. Taste-wise spelt is nuttier than most grains, and super delicious with figs and fresh goat cheese. Yum. Teff is the smallest grain in the world, and it’s also the national grain of Ethiopia and Eritrea. If you’re ever had Ethiopean food, you probably used their incredible injera bread in lieu of utensils. It’s super sour because they ferment their injera for up to 48 hours. I’m getting hungry just thinking about it. It’s naturally sweet and loaded with iron and calcium. I often prescribe my iron-deficient or osteo-arthritic patients a teff loaf each week. It’s also great for new mama’s post-partum. It really supports the blood in our systems. Another sweet fact is that despite its tiny size, you can sow an entire field of teff with just a handful of seeds. That’s magic. In Chinese Medicine, buckwheat (a fruit seed, not a grain) is seen as neutral and sweet by nature, and incredibly rich in amino acids. Particularly it is rich in lysine, a particular protein that is lacking in most grains, and is specifically helpful in preventing cardiovascular disease. Buckwheat is also excellent for deterring diarrhea and dysentery. It helps calm the digestive tract, and reduce inflammation. Einkorn has made the news a lot lately because people are convinced that it is more easily digested, despite the fact that it contains gluten. Most people believe this to be because the grain itself is impossible to hybridize. Meaning — the grain kernel cannot be broken apart in commercial milling. 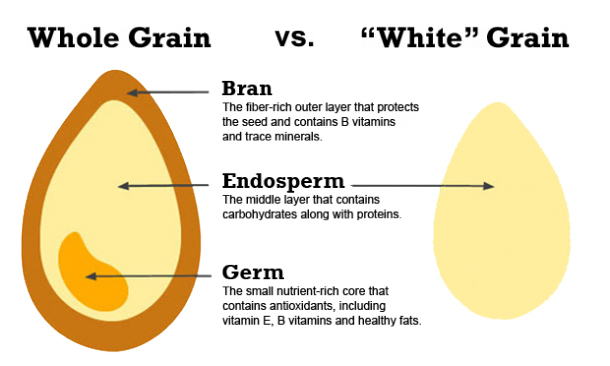 So all of the parts of the grain (the bran, the germ, and the endosperm) are milled together and not seperated, like they are in commercial milling. Because that is how Mother Nature intended it. This makes einkorn chockfull of vitamins and minerals that many wheat strains are missing. It’s also very special because the original strain of einkorn is over 10,000 years old, making it on of the oldest strains of wheat. It is not grown often in the states, but is becoming more popular. Italy has grown einkorn for years, and now a lot of bakers are importing it from there (or just ordering it from Amazon — Jovial is the brand name). It is naturally buttery, soft, and almost cream-colored. It’s color is due in part to the fact that it is high in beta-carotene. It is also high in protein, magnesium, manganese, and potassium, proving it very nutrient-dense. Try it out for yourself. You won’t be disappointed! With all the anti-wheat parties that are happening right now, it is difficult to even think about how whole wheat can be healthy for us. But trust me, it can. And I know this from experience. I know this because I used myself as a wheat-eating guinea pig for several years now, after having swore it off before my experimenting phase. In Chinese Medicine, whole wheat kernel (or fu xiao mai) is an herb that is used frequently for menopausal symptoms including night sweats, for insomnia, and for calming the spirit. There are two main classifications for wheat: hard and soft. The harder the wheat, the higher the protein content. 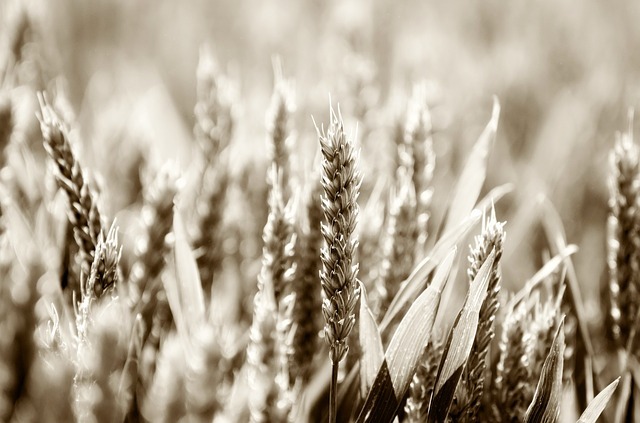 Within these two classifications, there are specific categories: winter wheat and spring wheat. – Hard winter red wheat: about 40% of the wheat grown in the US is this wheat. It is moderately high in protein (about 10.5%), so it is prime all-purpose flour. 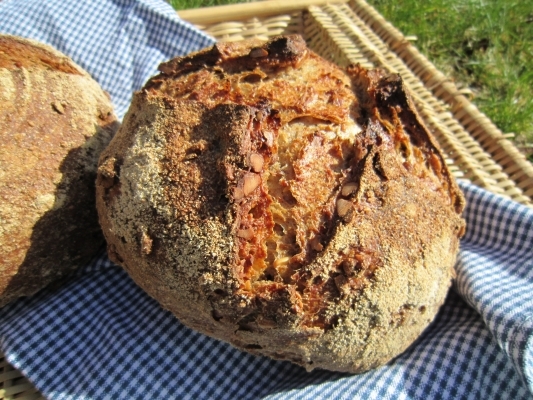 – Hard spring red wheat: this wheat is highest in protein (about 13.5%) and therefore, makes incredibly great bread! It is most grown in the northern states and Canada. 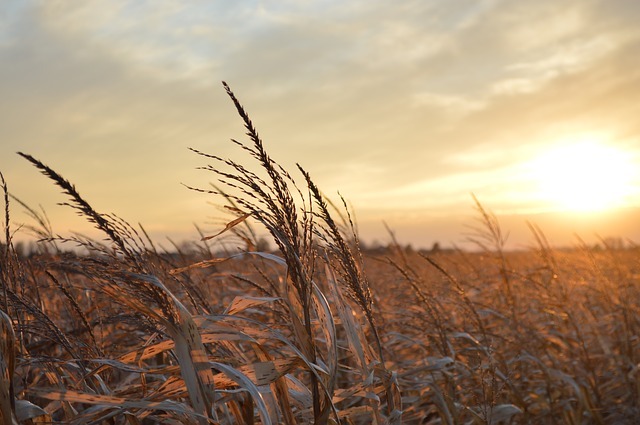 – Hard winter white wheat: only about 1% of the wheat grown in the US. When you read “white wheat,” those of us who are health conscious cringe a little bit. But not to fear! I’ve worked with organic whole winter white wheat and was amazed at the results. It is still whole grain, so it does maintain all three parts of the entire grain when milled (the bran, the germ, and the endosperm). The “white bread” that has plagued our nation since the Industrial Revolution is bleached and primarily composed of the endosperm. Alone, the endosperm only contains starch and some proteins. Unlike the bran and germ, it does not have many vitamins or minerals to make it healthy for us. -Soft winter red wheat: grown primarily in Ohio, this wheat is particularly best for pastries, cakes, and cookies. It is lower in protein, and therefore not ideal for baking bread. It also has a particularly mild flavor. I want to share with you one of the best 20 minute speeches I have ever heard. I know I am whole grain obsessed and biased, but I think you too will learn a lot from his talk. It’s Michael Pollan, the wonderful writer of In Defense of Food and The Omnivore’s Dilemma, to name a few. I think I have watched it ten times, if not twenty! I hope it inspires you as much as it does me! Please click HERE to view. So there you have it. 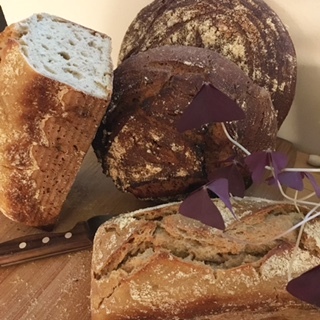 There are many more varieties of grains, but I have baked many loaves of bread with a combination of those above and have been very successful. They are highly nutritious, tasty, and with a long fermentation, are chockfull of pre and probiotics. Real bread takes time. But it is worth it. Your body will thank you! Hi Fellow Bakers! 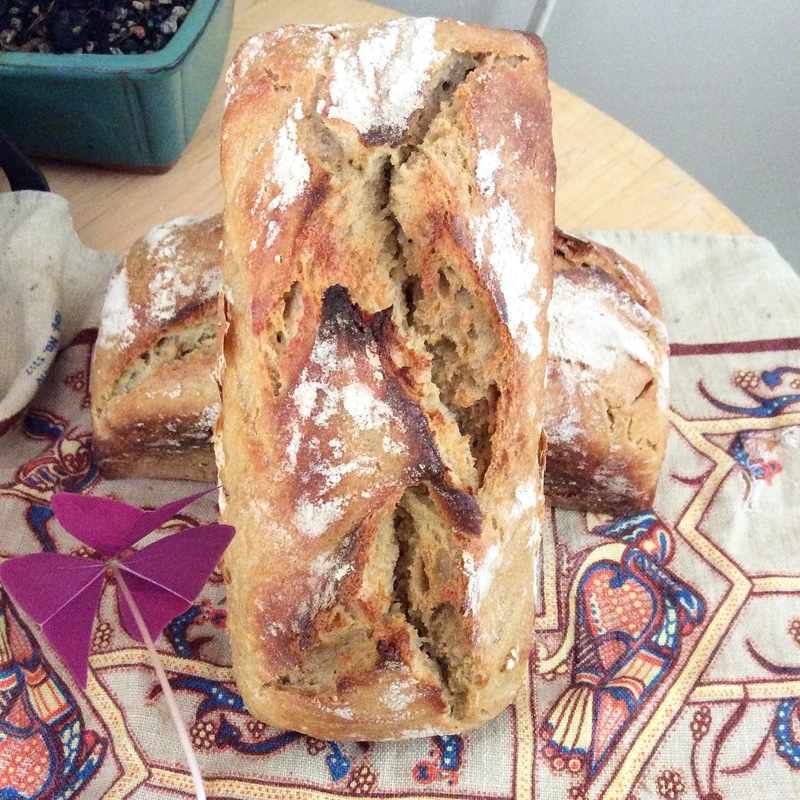 I write today to share my most updated basic bread recipe with you. 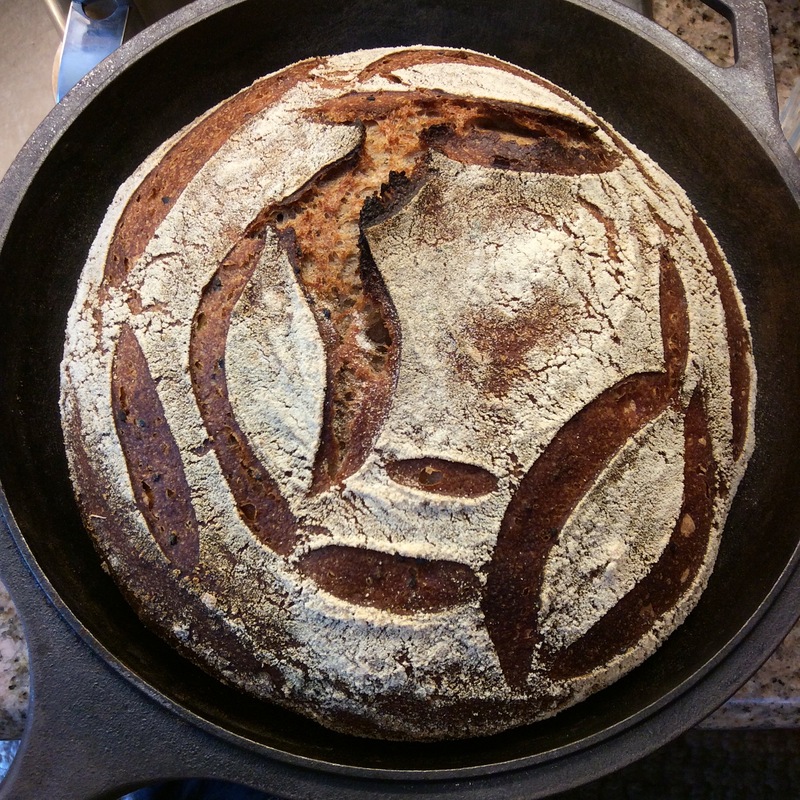 Since I have been teaching people how to bake bread in the last month, I am filled with joy, first and foremost, but I am also realizing that your average breadbook can be a bit intimidating for a new baker. So — I hope this helps you to just dive on in! It truly is not as challenging as it seems. As my students say, you just have to get your feet wet. Then you are that much closer to having freshly baked, nutritious bread for you and your family. And this is bringing me one step closer to my ultimate goal: blocks upon block of households oozing with that fresh baked bread smell. That just makes life a little bit sweeter, doesn’t it? There are only four ingredients: FLOUR, WATER, YEAST, and SALT. That’s a beautiful thing. Here’s the abbreviated recipe for two loaves of bread. If you want one, just cut it in half — but really, who wants one loaf when you can give another to a friend, and then they will be inspired to try to bake their own bread and it will change the world! 1. Grab your metal bowl or plastic (BPA-free) Cambro container (Smart & Final, $15), and your digital scale (Amazon, $30). Measure 800 grams of water into the container. Reset scale back to 0 grams and add 1,000 grams of whole grain, organic flour. MIX with your hands until you cannot see any more dry flour. If your grains are extra thirsty, give them a little more water. You will get used to how much water your flour needs after a few test rounds. Cover your container with a cloth or place a lid on top (not airtight). Let the flour and water mingle. This is called the AUTOLYSE. This is when all the enzymes get to know eachother before the yeast and salt are added. Do not skip this step. Real bread takes time. You will have better bread by giving the dough 20-30 mins to hang out. 2. After your 20-30 mins is up, place the container back on the scale and add 200 grams of wild yeast (refer to my website post Wild, Wild Yeast to learn how to make your own yeast/starter/leaven) and 25-30 grams of salt (that’s up to you). Get in there with your paws and mix all together rigorously for up to 5 minutes. This is the only time you will knead the dough. After the 5 minutes is over, massage your tired arms, and place the lid or cloth back on the container. Now, the initial proofing time occurs. 3. Leave the container on the counter for up to 4 hours (if it is over 90 degrees in your house, make it more like 3 hours). If you are home and able to “do folds,” gently lift the sides of the dough up and onto itself on all sides every 30 minutes or so. If you need to run errands, don’t worry about the folds. Just do one before you put it in the fridge for the bulk fermentation. 4. Bulk fermentation: after the proofing stage is over, you can either shape the dough now and place it in your brown-rice lined banneton and into the fridge for up to 24 hours, or you can leave it in the container and shape it when it’s cold hours later. I usually do the later, but every baker has their preference. So — leave it in the fridge for up to 24 hours. This is where the real magic happens. The dough is allowed to slow down it’s natural enzymatic activity, and this is where the nutritional boost occurs. As I always say, “real bread takes time.” This fermentation allows the bread to become pro-biotic in a sense, since the lactobacillus bacteria in the yeast is interacting with the enzymes and minerals in the flour. Good stuff! 6. Shaping: You can shape it when it is cold, that can be easier for many of us beginners. Use your dough spatula and bench knife (Amazon, $5 and $8) to cut the dough in half to create to circles with your hands. You can use a little rice flour or non-gmo cornmeal on your hands and sprinkle on the countertop to prevent stickiness. 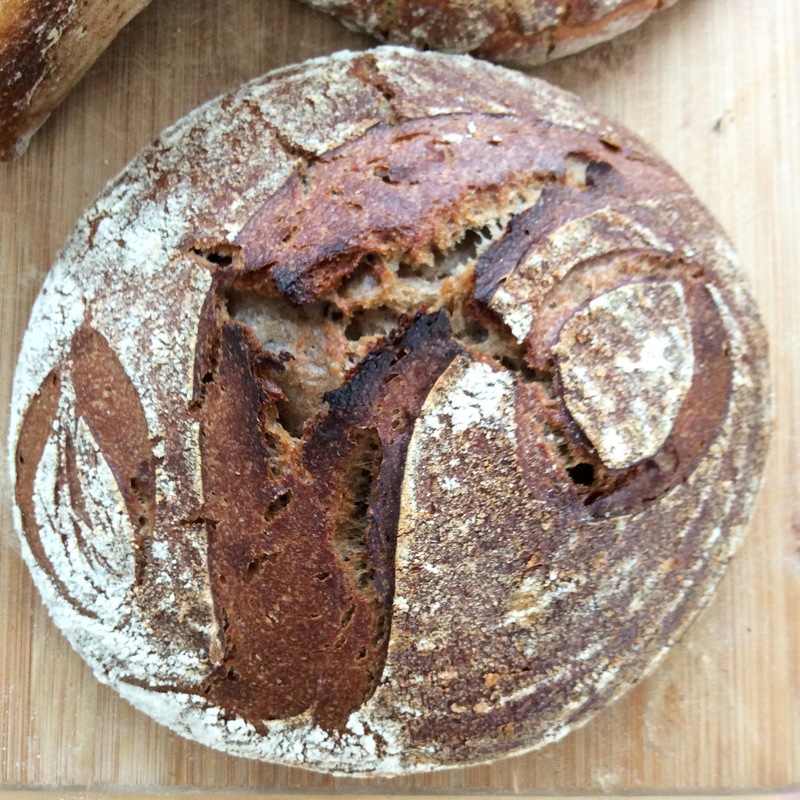 Once you have shaped the two boules into two circles, you are ready to bake! 7. Take the pre-heated Combo Cookers out of the oven (don’t forget your mitts! Those puppies are hot! ), sprinkle them with rice flour or cornmeal (prevents dough sticking more than regular flour), place boules into the combo cookers. 8. Score your loaves! Using a bread scorer (Amazon, $8), razor, or sharp knife, slice the top of the dough at a 45 degree angle several times. This allows the dough to breathe, to get the most oven spring,and prevents dough blowout. Sprinkle the dough with brown rice or cornmeal. me, I know from experience, that eating hot bread is delicious, but can give you a not-so-fun belly ache. It is worth waiting for! Some professional bakers say it is best to eat leavened bread the next day for the most flavor! To store your bread: leave it on the counter, wrapped in a cloth or placed in a paper bag. It has a shelf-life of about 3 days, so if you won’t eat it that fast, you can slice it first and then freeze it. Then, take it out, let it thaw for a bit, lightly toast, and ENJOY! There you have it, friends!! I wish you all the success and luck in baking your own bread at home. We deserve to know where our food comes from, to eat the healthiest grains possible, and to have more energy because of it. And the other best part is that you get to share it with your loved ones and community. Isn’t that what life is all about?! If you have questions, please don’t hesitate to email me: cultureyourbread@gmail.com. Aunt Mary: FACE YOUR FEAR! When my niece Lily was about 5 years old, she had a favorite phrase: “Face Your Fear.” No one knew where it came from, but she would repeat it over and over again, as 5 year-olds do, and we would all just burst into laughter, hugging her and smiling. At the time no one really stopped to realize just how incredibly wise she was. I’ve been thinking about Lily and her phrase lately. She is 17, and applying for college, both an exciting and often fear-provoking task. And I am in the midst of starting two businesses at the same time: 1. my Eastern Medicine and Acupuncture Practice, and 2. Bread Culture as an LLC and full operating bread-teaching service. We both are at the forefront of change. 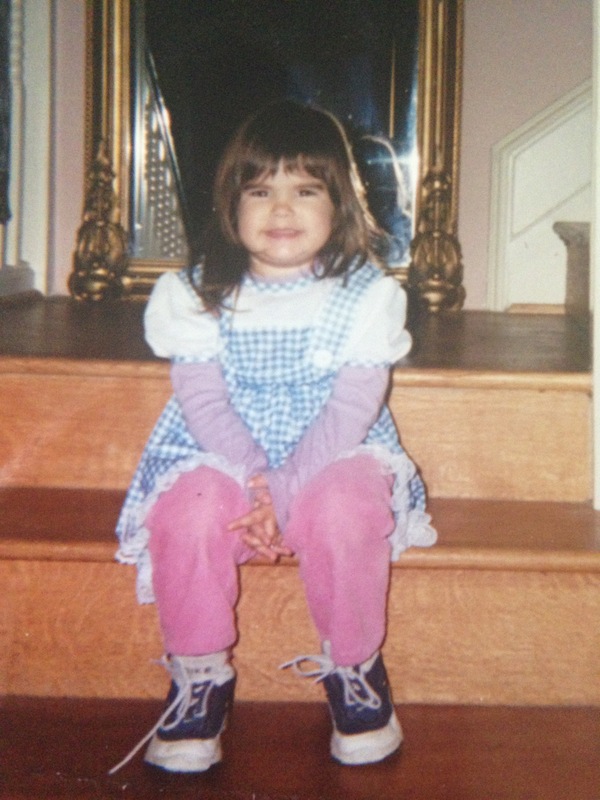 questions come up each day, how will I… But then I remember Lily at such an innocent and adorable age, reminding us grown-ups to go for our dreams, to trust the process, and to be vulnerable and courageous in the face of fear. Talk about wisdom! My missions are strong. They are both rooted in helping others, so I know in my heart that they will inevitably succeed, but putting all fears aside is challenging. I’ve been listening to/reading all kinds of business media stuff lately: bread-talks, entrepreneur podcasts, business documentaries, and they all seem to have one common theme: their greater mission far surpassed all obstacles and “failures” along the way. And sure, they failed. We all do. It just makes us one step closer to realizing success. They were determined like it was nobody’s business. They didn’t take no for an answer, and they surrounded themselves with people who supported them and believed in them. My dreams for Bread Culture are huge. I am fully determined to help all of us who want better food in this country, to take matters into our own hands (literally), and start baking! I have visions of a massive bread class in Times Square. It is filled with thousands of cambro containers, dough wands, and bread scrapers. People are elbow deep in dough, and they are smiling and sharing words with their neighbors. They are mixing whole grains in that container. Whole-organic-grains that have just been milled very recently into flour. They are sharing life stories with their neighbor, and that night they will go to their homes, place the dough in their own refrigerator, and wake up the next morning to bake it — themselves. In their own oven. Then they will break it with someone they love. We deserve the right to know where our food comes from. What the farm was sprayed with or not sprayed with. 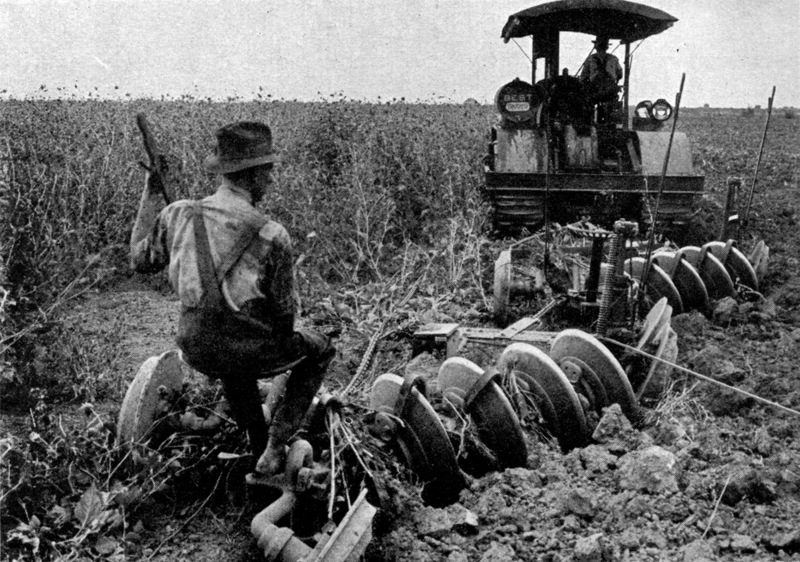 How many thousands of hours of work the farmer put in that soil, come rain or shine. How those bubbles were created in the wild yeast we used to help the dough get its proper rise. How many hours bread needs to develop. I mean, heck, we all need time to rise, no? Poke a hole in me and I’m not ready at 6am! I think Mr. Mandela and Lily would have been friends.